Slender: The Eight Pages is a free indie-developed psychological horror/survival horror video game for Microsoft Windows and OS X. The game is based on the Something Awful forums' creation, Slender Man. 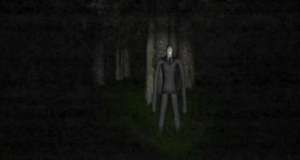 Slender: The Eight Pages begins with the player in a forest at night. The player is equipped with a flashlight that has a battery which must be conserved. Version 0.9.7 Beta is a freeware program which does not have restrictions and it's free so it doesn't cost anything. For security reasons, you should also check out the Slender download at LO4D.com which includes virus and malware tests. Additional screenshots of this application download may be available, too. Slender has a presence on social networks. Slender download been highly rated by our users.